Local Florida Area Map - Find Restaurants, Shopping, Attractions, and More! Use our Local Area Guide to find things to do at Florida Sunshine Vacation Rentals. 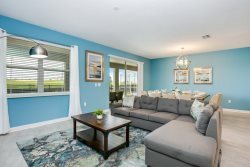 When you stay in our vacation homes in Orlando, Florida or in any other part of the Sunshine State, you will find activities for people of all ages. Find the best restaurants, shopping, attractions, golf, and more! Buy Orlando, Florida discount Disney tickets. iFly Orlando is the closest thing to skydiving you`ll ever do without having to jump out of an airplane. It`s so realistic that professional skydivers use the tunnel to practice and master their moves, yet safe enough for people of all ages without any experience to learn to fly. Fairytale dreams come true for children of all ages at Magic Kingdom Park. Delight in classic attractions, enchanting fireworks, musical parades and beloved Disney Characters across 6 whimsical lands. See fantasy become a reality as you explore Adventureland, Frontierland, Liberty Square, Fantasyland which is open while undergoing the largest expansion in Magic Kingdom history Tomorrowland and Main Street, U.S.A areas. Zoom through space, become a swashbuckling pirate and watch fireworks light up the sky over Cinderella Castle. Gatorland provides affordable family fun while showcasing thousands of alligators and crocodiles including four extremely rare leucistic "white" alligators. The free-flight aviary, petting zoo, one of a kind animal shows, natural alligator breeding marsh, and the "thrilling" Screamin` Gator Zip Line will ensure your day will be filled with Fun, Smiles and Special Memories! Experience the Freshness is not a marketing slogan. It is a standard of quality and level of service created by our staff. It applies to every piece of the Peach Valley pie. Our breakfast and lunch offerings are homemade, using the best and freshest ingredients. Our management and service family are trained to provide a personalized dining experience focused on guest satisfaction, so that your family always receives the service it deserves.